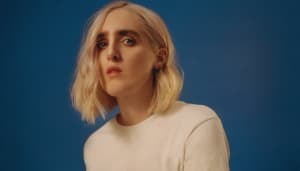 Look for Shura’s debut album July 8. In the last year, Four Tet has shared remixes of songs by Eric Prydz, Oneohtrix Point Never, CHVRCHES, and Coldplay. He continued his wide-ranging remix campaign this week with a new version of Shura's "Touch." The original is a slowly-expanding bubble of funk packed with echoes of the '80s. Four Tet's rework incorporates a light but insistent pulse. Shura's Nothing's Real arrives July 8. Listen to the new version of "Touch" and check out the album's tracklist below.